Size: approx. 10 mm. Photo: 06/11/12, 10 pm. 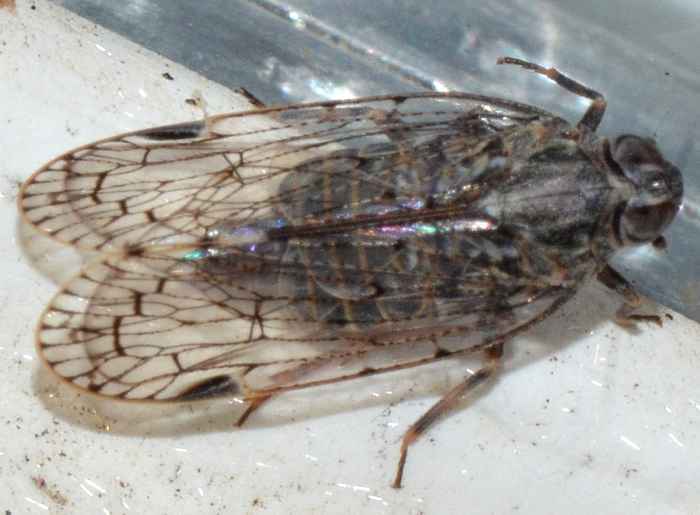 These planthoppers belong to the genus Oliarus. I believe the two photos show different species but unfortunately this genus has over 50 different species in North America. 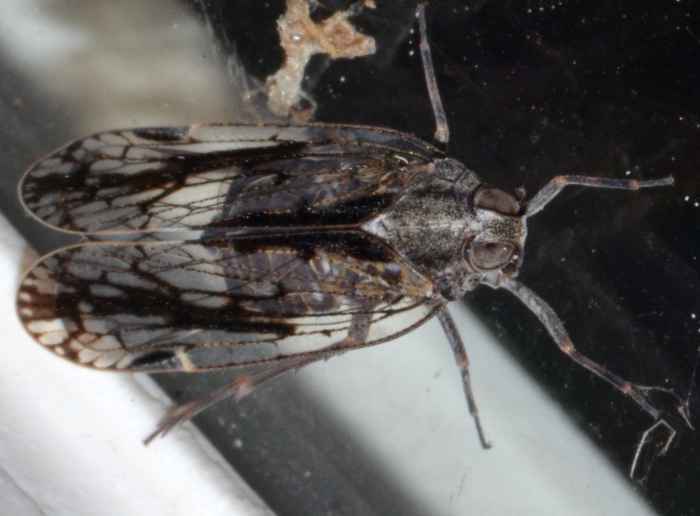 Both specimen were attracted to the light of our living room window.